This week’s memories extend to the George Steele farm at Stewerts Corner; the intersection of Lowell, Dracut, and River Roads. In the early 1900’s Hudson was serviced by three trolley routes. One of these routes went from the Taylor Falls Bridge, down Central Street, then down Lowell Road to Stewerts Corner. The fare from Taylor Falls Bridge to Stewerts Corner was five cents!! Thus, Stewerts Corner was also called ‘the five cent limit’ or ‘the limit’. During warm months open-bench trolley cars were used. Many children and adults would pack a picnic lunch and ride the trolley to the ‘limit’. Once there they could buy ice cream and soda at George Steele’s farm store. The first photo shows his store C1899 with two ladies and children waiting outside; perhaps for the trolley. If the season was right they could also pick strawberries for Mr. Steele for two cents a box! For additional fare, families could extend their trip down River Road to Lakeview Park, an entertainment area just over the state line, or go all the way to Lowell and spend time shopping. George and his brother Fred were native to Hudson; growing up and working with their father, Silas, on the family farm on what is now the Steele Road. As a young man of 24, George purchased his own acreage from William Chase in 1887. By 1893 he married Edith Colburn and built their home on River Road. For most of their adult lives, George and Fred continued to operate large vegetable/market gardens near Stewerts Corner. The George Steele farm remained in his family until surviving son, Ralph, sold the property to the Friel family in 1977. 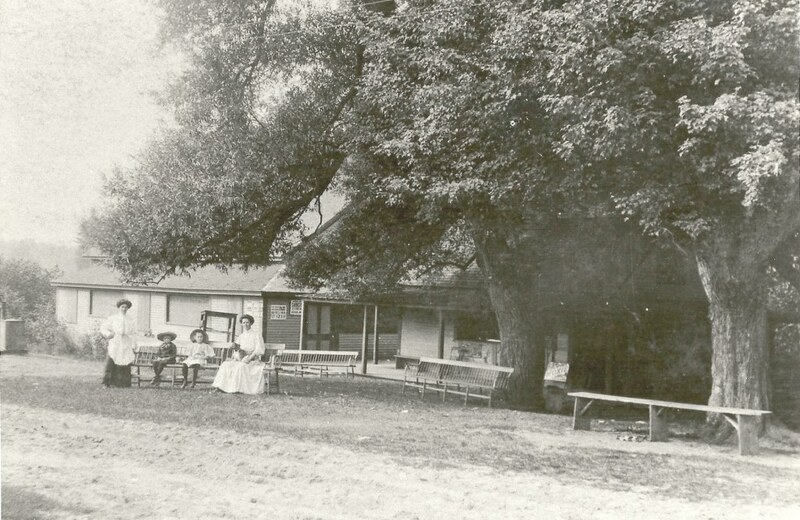 The land and buildings are now a part of Green Meadows Country Club. 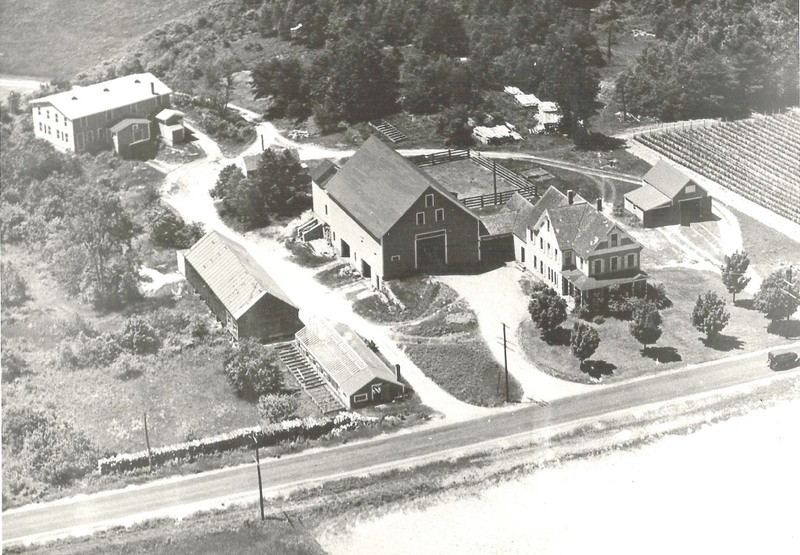 The second photo is an aerial view of the George Steele Farm C1942. We see gardens along both sides of River Road. Photos courtesy of the Steele Family and now a part of the Historical Society Collection. By Ruth M Parker in Lowell Road on November 13, 2015 .